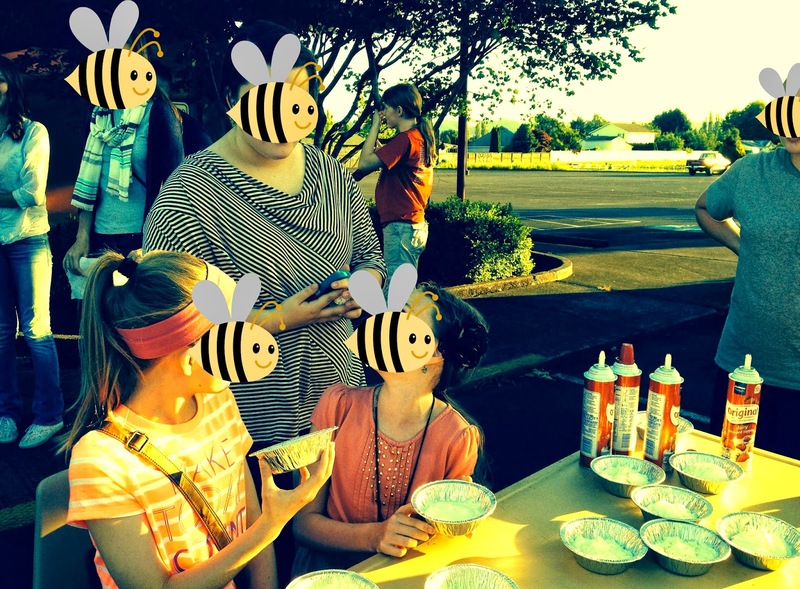 Last night we had our 2nd Annual Family Home Evening Mutual Combined YM/YW Activity! Unlike our other Mutual activities, the leaders plan & carry out this whole activity so the kids can just enjoy (and see how its supposed to go). 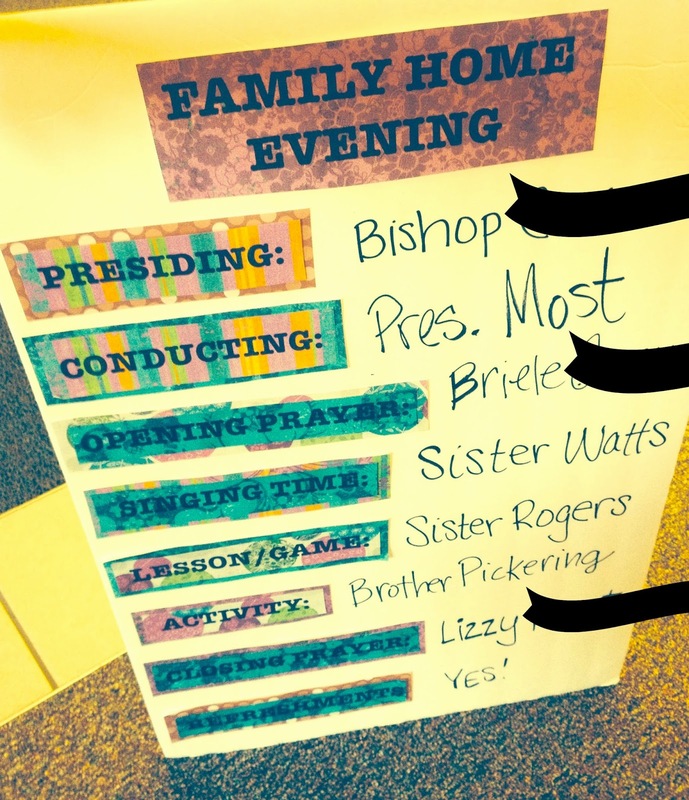 We started this activity last year after some of the YW in our ward commented that “nobody does Family Home Evening anymore Sister Rogers- thats old-fashioned” and I began to worry that they were right. How many of the kids were having FHE (or even knew what FHE was)? We have a number of less-active and non-member kids that attend Mutual but don’t attend Church. This is a great way to get kids excited about FHE and maybe encourage it in their own homes. We try to emphasize that FHE should be fun and that the most important thing is that you spend time together. We had this handy board (that I made from a poster-board and word-strips that I printed on scrapbook paper at home) so the kids could see what was coming up next…. We asked youth to do the prayers, the leaders did everything else. 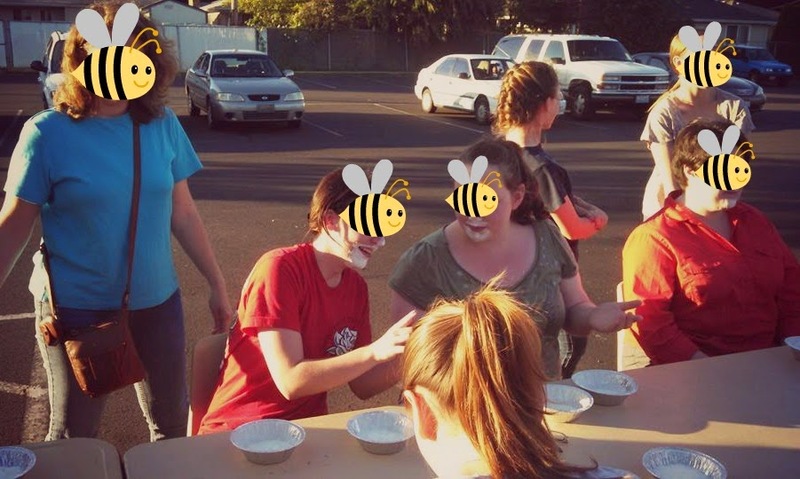 One of the YW leaders taught some Primary songs (with actions) like Popcorn Popping, Once There Was a Snowman, and Head, Shoulders, Knees, and Toes. 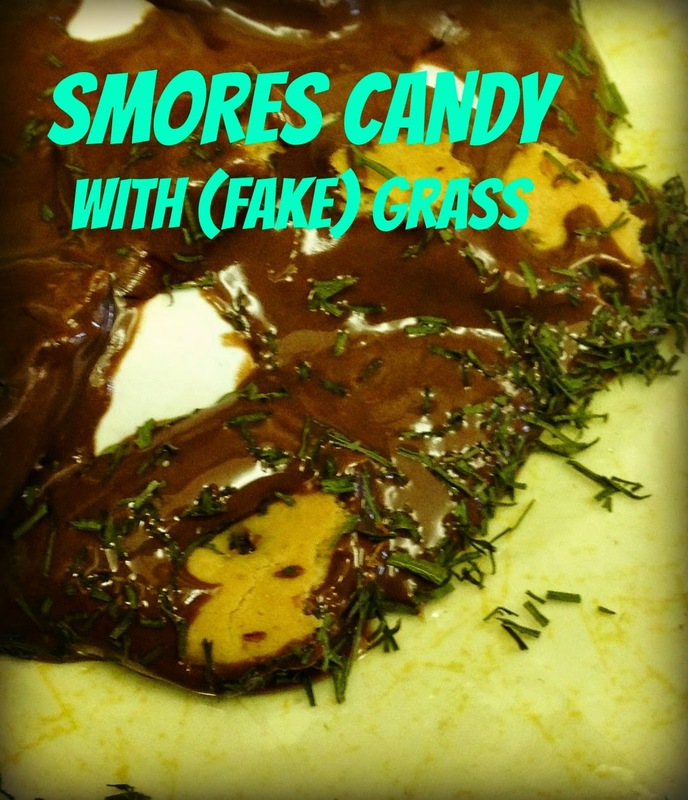 Then I demonstrated an object lesson on media standards by offering the youth some s’mores candy* that I had made earlier that day, but had “accidentally dropped” in the grass on the way to the car, right after my husband had mowed the lawn. (Really, I had purposefully sprinkled some dry dill -sort of looks like grass clippings- on top of the candy and roughed them up a bit to make them look like I had actually dropped them). When I offered the candy to the youth, they were hesitant. 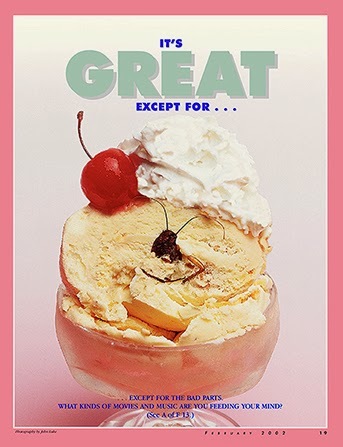 I told them that they were still mostly good, and they could probably just pick the grass out and they would be okay. A few kids were about attempt it when I mentioned that there MIGHT have been some dog poop on the lawn, but that I thought I’d wiped most of it off. Suddenly, nobody wanted the candy anymore! I said that they could probably just eat around any part that might look like it had touched dog poop, or maybe try to rinse them off or something, but that the candies were still mostly good. You should have seen the looks on some of these kids faces – they were totally grossed out! Some of them thought I was nuts! “Sister Rogers – are you trying to kill us?” I made my way around the room, offering each person a candy, and nobody took one! Finally, I admitted that I hadn’t dropped the candies at all – it was an “object lesson” meant to teach a principle. Many times we justify watching a movie or listening to a song because there is just “one bad part” or “just 5 or 6 bad words”. If “just one part” isn’t good, is watching or listening to or reading it really that great of an idea? *you could use any kind of candy, cookie, brownie, etc. You don’t really have to use the fake grass, but I think the “grass” really convinced them that the candy had been dropped. This idea has been around for a while – I was sort of surprised that the youth didn’t catch on right away! and we discussed how it related to my “tainted” candy. You can find all of the Mormonads (printable) on the church website by clicking on the photo above. 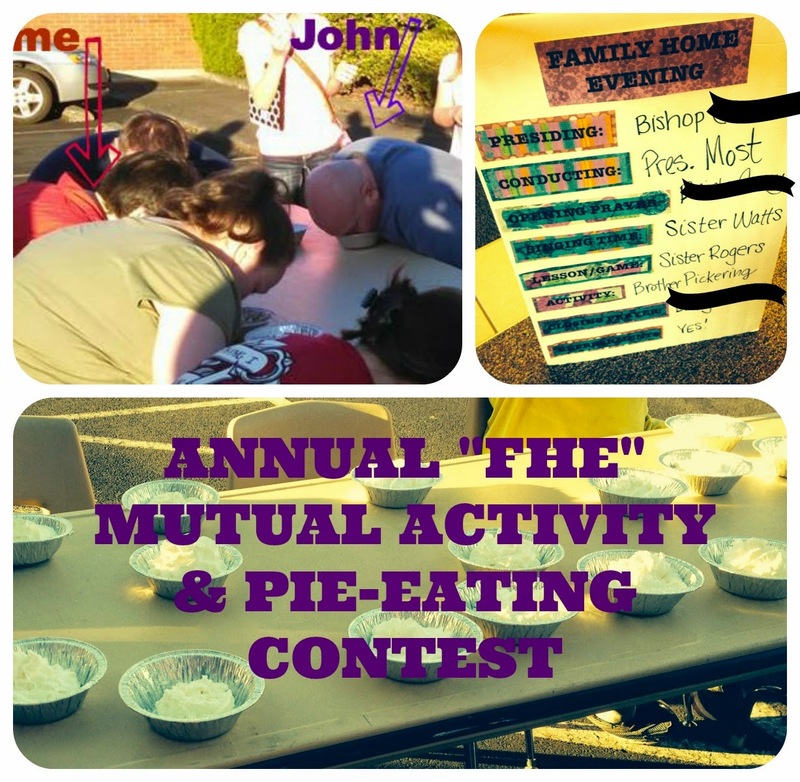 The crowning event of our annual FHE activity is our pie-eating contest, which is always tons of fun! We’ve found it easiest to use whipped-cream-only pies (no crust) in mini pie tins.